The Musgrove family visited a local Chelmsford photographer for a series of portrait photographs. Sadly only two survive, both being of Emily. Even worse we have a group family photo which has been cut down to display only the eldest son George (see left). 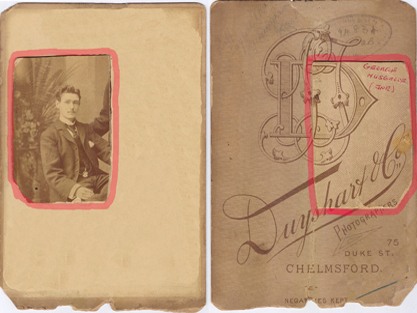 The two photos above show one of the Emily portraits with the cut down Famiy portrait of George junior superimposed over the original base to show how much of the image is missing. Clearly visible behind George's left shoulder is an outstretched arm almost certainly that of his father George Musgrove. If the original negatives could be located we would have our only picture of this website's namesake. The history of the photo studio is of interest. Pieter Jonannes Duyshart and his wife Alida had left Holland and by 1861 were living on the Isle of Man. He was engaged as a telegraph Engineer. 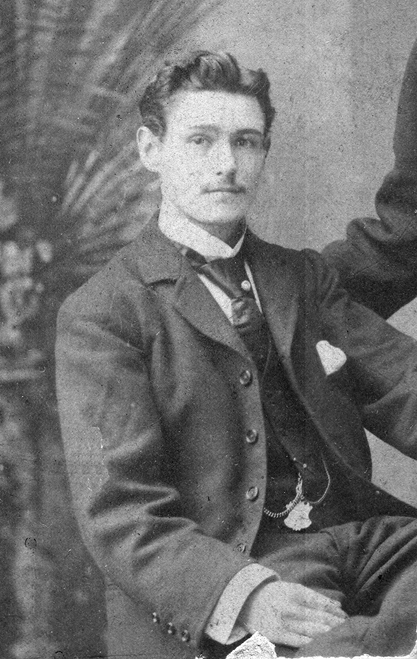 They had two children Pieter Henry and Mona Maria both born in Douglas in 1861 and 1864 respectively. 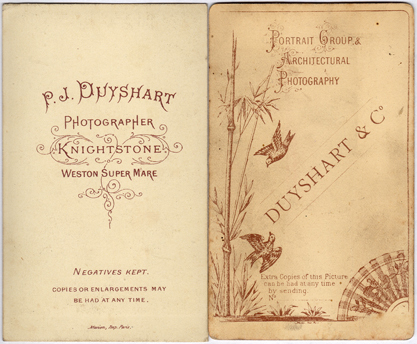 By 1876 the Duyshart Family had established a photographic business on the seafront at Weston Super Mare. By 1881 they had moved the business to Torquay but relocated to 75 Duke Street Chelmsford by the mid 1880's. P J Duyshart died aged 57 in 1889 the business continued to be run by his wife Alida. The son Pieter married in London in 1889 and established a photographic studio in York. The daughter Mona Maria married a photographer named Frederick Cornhill in Lambeth in 1897. By 1901 they were living at 48 Mildmay Road Chelmsford (close to George's old house) and both listed on the census as photographers. Around 1903 the premises at 75 Duke Street became F and M Cornhill Photographers. 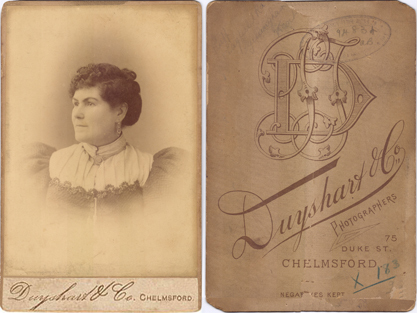 Alida Duyshart lived until 1920 when she died in Chelmsford. Her son Pieter had moved back to Chelmsford and died in 1910. 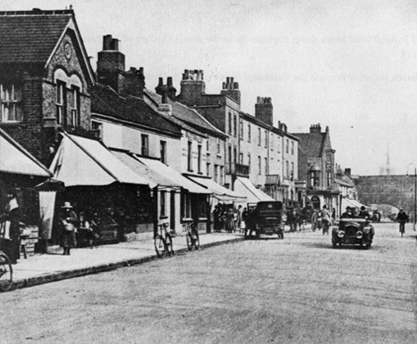 Photo below is Duke Street in the 1920s.